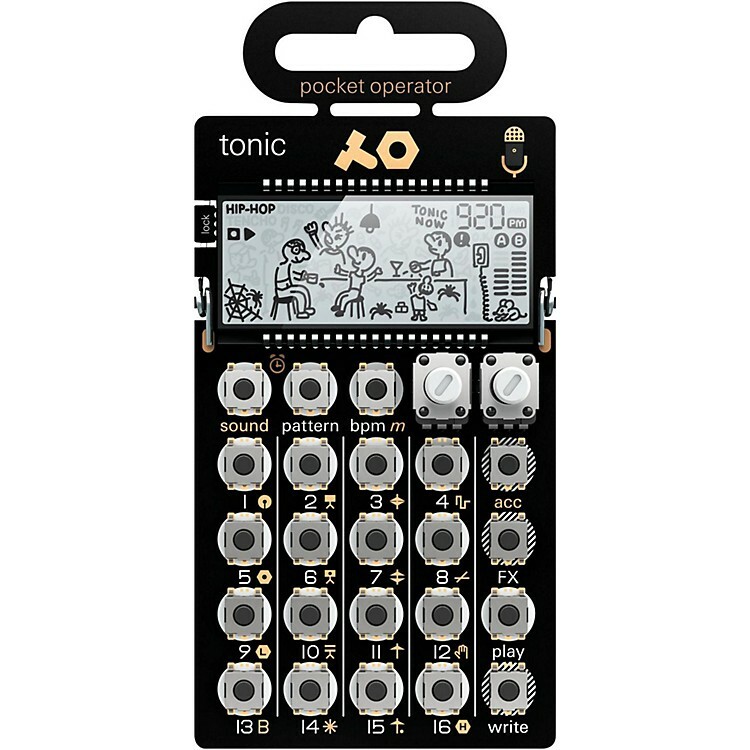 The PO-32 tonic is the next level pocket operator, featuring a built-in microphone and import / export functionality. PO-32 tonic is a powerful drum and percussion synthesizer a result of a fruitful collaboration with Magnus Lidström of sonic charge, creator of award-winning audio plugins and the man behind the CWO effect in OP-1. Unique to PO-32 tonic is its wide range of sonic capabilities, a fresh selection of new punch-in fx, a built-in microphone allowing direct transfer of sounds and pattern data between units, as well as the ability to allow users of the standard desktop version ofmicrotonic to shape sounds, generate new patches and pattern data, and transfer this wirelessly back to the PO-32 tonic. For the first time pocket operator users can easily import, export and share their music with the world, opening up unlimited potential. The sharing aspect and the microphone make this a big deal. Order today.